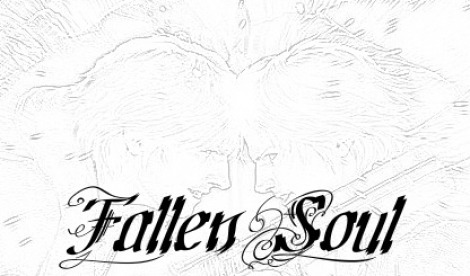 Fallen Soul by M.J. Román and Mindless Inc. is licensed under a Creative Commons Attribution-Noncommercial-No Derivative Works 3.0 United States License. Permissions beyond the scope of this license may be available at www.mindlessco.weebly.com. The story starts with a man named Lazaruz who was born as a human with incredible powers to control souls. After the events of a war and being betrayed by his brother and loosing his family, he becomes mad and sick with power and begins to control the world to his every will. An angelic knight came down and executed him, locking him away into a small chest in the Temple of the Soul Hunters. 100 years had passed and a boy called Trigon discovered these ruins and with it, the chest. The boy opened it and liberated Lazaruz, now called by himself and others with him Lord Soulmaster, leaving behind his name. Now only Trigon can defeat him and lock him up once and for all. The story has been continued writing and is far by chapter 6. Soon the story will be finished and available for your reading. For information or comments e-mail to: mindless.fallen.soul@gmail.com or fallensoul@mindless.com Thank You. Full Copyrights Marcos J. Román Bevilacqua 2008.